Although it’s not a long time, the reality has confirmed that the application of information technology (IT) in operation, production, sale … of Long Son Cement has improved economic efficiency and contributed to lower product price. In the first days of the year, in Long Son Cement Plant, hundreds of officers, engineers and experts at home and abroad, laborers has focused on emulating to increase production efficiency, striving to exceed the plan set out in 2017. 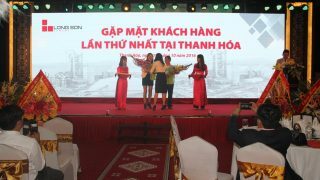 Although it’s not a long time, the reality has confirmed that the application of information technology (IT) in operation, production, sale … of Long Son Cement has improved economic efficiency and contributed to lower product price. 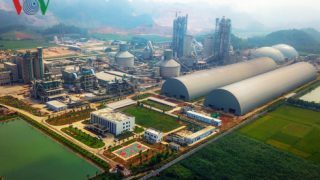 On 01/11/2016, the line 1 of Long Son Cement Plant went into production and by the end of December 2016, it has produced 420,000 tons of clinker and come onto the market 200,000 tons of cement. 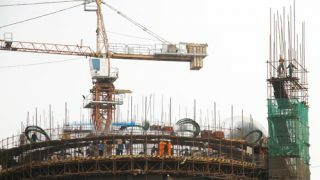 Line 2 of the Plant is being quickened the construction progress, striving to go into production at the ending of August 2017. Engineer Dao Duy Duc who is in charge of economic information department, Long Son Company Limited (the investor), said: Early in the preparation of the project, selection of production technology, the company has focused on selecting, applying IT in operation, production, sale, financial management, human resources… All the lines and departments in the Plant are managed and operated through the most advanced IT system in the world today. 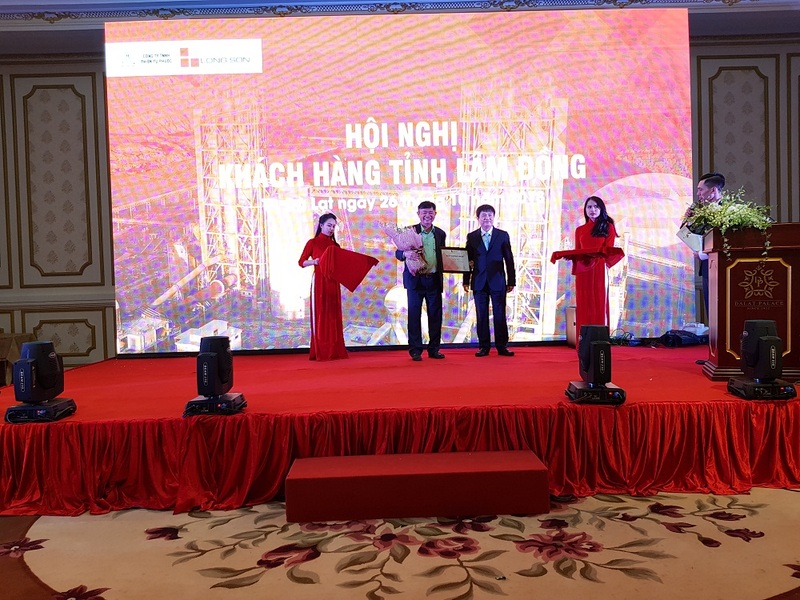 In the investment process to build Long Son Cement Plant, in addition to selecting the most advanced cement production technology in the world today of Japan, production equipment of the famous manufacturers of the Federal Republic Germany …, the investor has selected ABB brand of Switzerland to provide equipment system for the central control room, Lenovo brand of the United States to provide information system for the Plant. The operation of all equipment in the production line is monitored and controlled in the central control room (CCR), through measurement equipment designed and provided by ABB Group of Switzerland. Batching control system is controlled online from department of product quality control through X-Ray system – this is the most advanced system of Themor Corp, Switzerland. In addition, the QCS system connects to quantitative stations through DCS systems to enhance and stabilize product quality. The product lines of Long Son Cement Plant are manufactured on the most advanced technology line and controlled accurately by IT and are tested before being shipped from the plant in order to provide customers with the highest quality products. 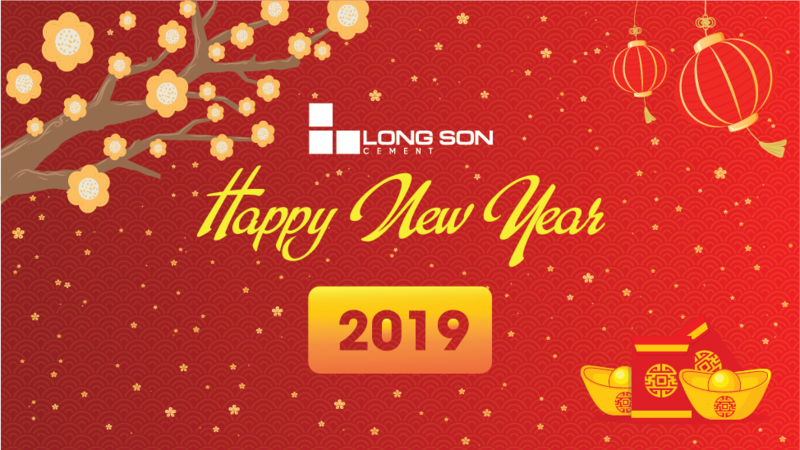 After investing in installation of information system, Long Son Company Limited invited top IT experts at home and abroad to build software for operation, production, sale … and training, give instructions for use to relevant staffs, specialists … of the company. 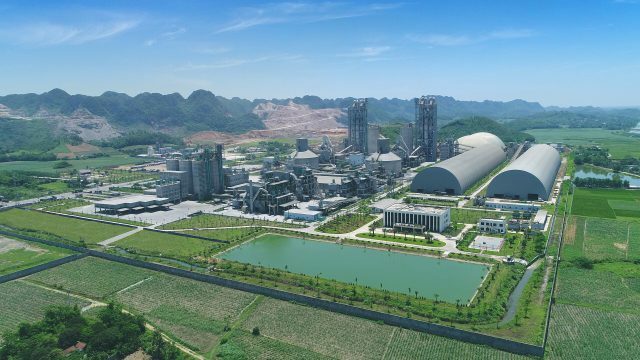 The server system is connected directly to the heads of production and operation management department of the company, the plants, level 1 agents, customers all over the country … When buying Long Son Cement products, customers don’t need to go to the plant but they can buy products via the Internet, the company, the level 1 agents will receive and process the purchase information to deliver the products to customers as soon as possible. 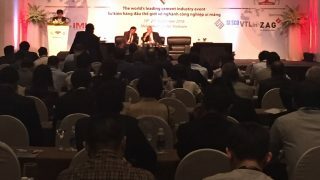 In addition, in the process of buying and using Long Son Cement products, customers directly comment through the Internet to help the company get more complete on product lines, including packaging, at the same time, to enhance product features and reduce production costs in order to give customers the best choice for the product lines. 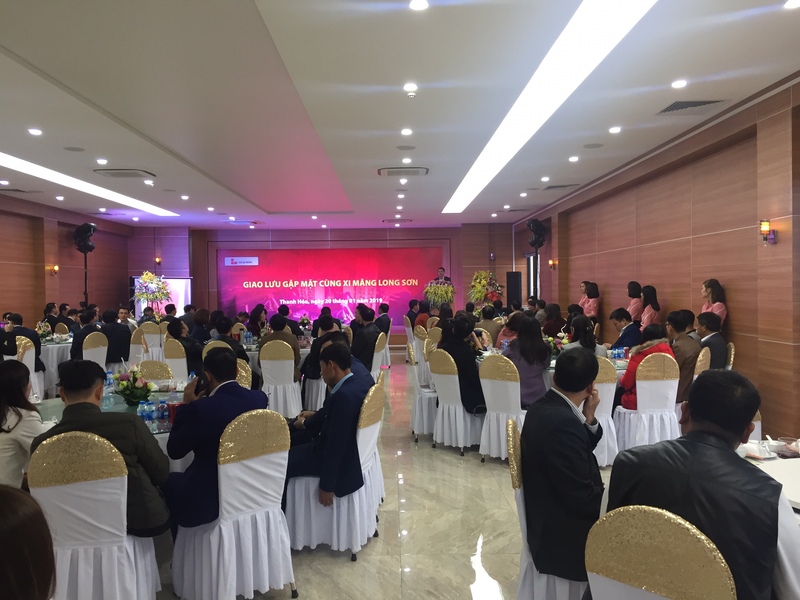 Ms. Nguyen Thi Phuong who is in charge of accounting department of Long Son Company Limited said that: The entire process of selling cement products from the plant to the level 1 agents all over the country is updated accurately and fully in a day and receive feedback from customers. At the peak, the plant sold to agents 5,000 tons of cement a day. 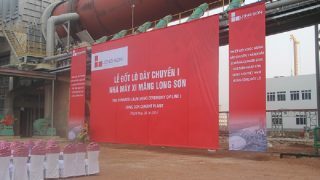 The company also received many positive feedback about the belief and use of Long Son Cement products from customers. The management of the internal reporting system is also done by IT. This helps the company leadership run production, business quickly and accurately every day. 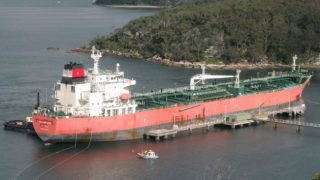 In addition, the company also invested in installing the camera system and was connected directly to the heads of departments in the plant to monitor, order and serve production. The entire IT system from the plant to the agents and customers is kept safety in the process of using. 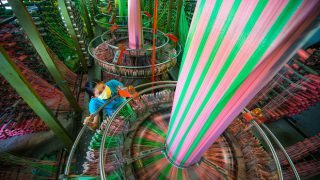 Engineer Dao Duy Duc said that: IT system of the company has promoted economic efficiency from production management to sale, help control the product quality most effectively, minimize time, reduce input costs in the production process and contribute to lower production price. At present, the company has set up plans to continue investing in upgrading the IT system server in order to serve more and more effectively for the leadership, production management, sale … for the highest benefits of customers. 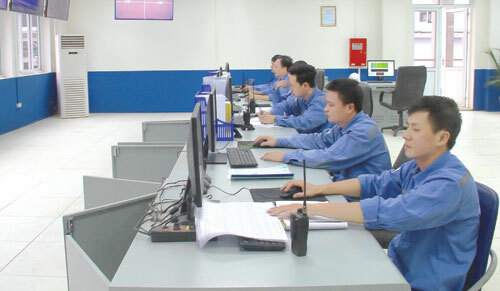 With the selection of the most advanced and modern technology, production equipment, IT system in the world today, It is believed that the management and operation of production, sale … of Long Son Company Limited is more and more effective, contributing to lower product price, bring more advantages and for the highest benefit of customers.